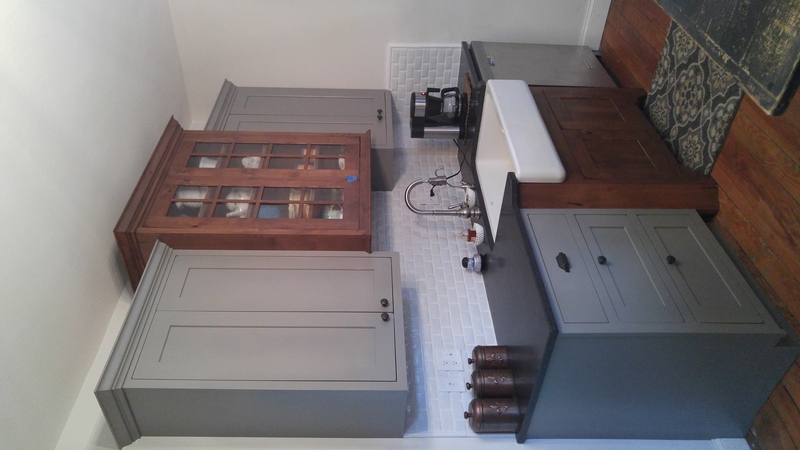 Our Kitchen and Bath Design Studio in Westminster, Md., sent us these beautiful photos of a makeover to a 1851 farmhouse that was recently completed. 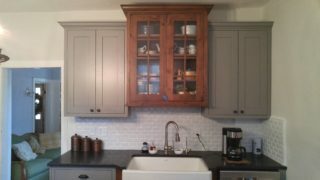 In the kitchen are Shiloh cabinets in a beaded-inset, flat-panel door-style in the Dovetail Grey finish, slate highlighting and a wear-through door and drawer treatment. Who doesn’t love a farmhouse sink? 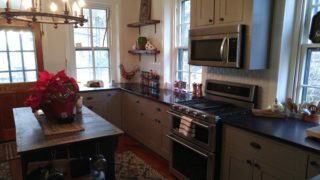 The accent cabinets by the sink are Rustic Alder in the Barnwood Olde Style door. 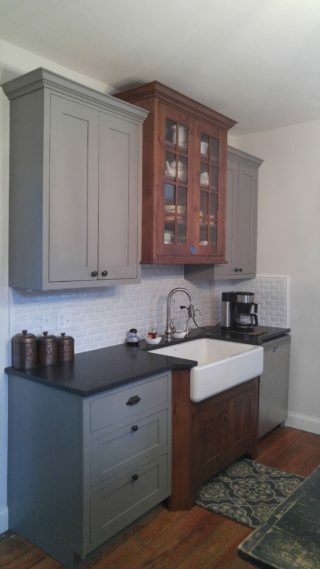 Visit our Houzz page for more pictures of this project and others! 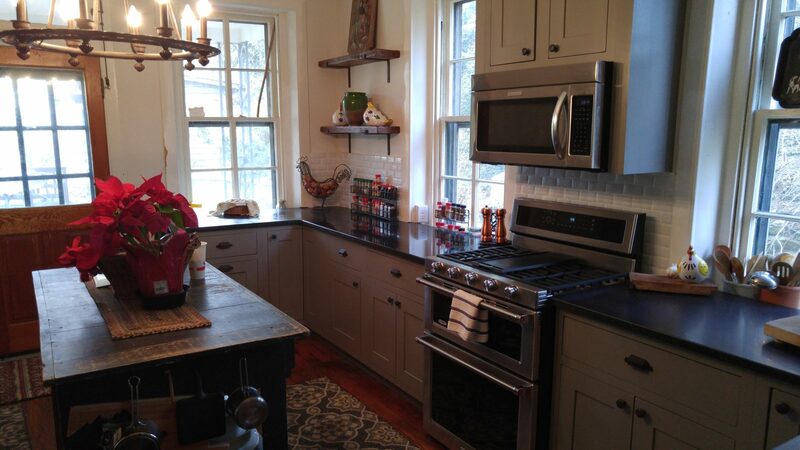 Ready to tackle your next kitchen or bath renovation? Click Here.